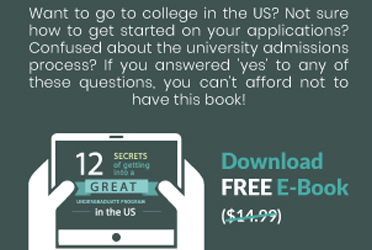 Interested in studying abroad? Learn about healthcare options for international students at popular study abroad destinations around the world. Every year, the WHO organises World Health Day around a specific agenda. Like last year, this year’s theme is focused on universal access to healthcare. Not only is this issue a criterion to fulfill Sustainable Development Goal 3, it is also becoming a hot button issue for the Global North. While it is an extremely important issue, the conversation of universal health care often overlooks temporary residents, including international students. In recognition of World Health Day, the BrainGain staff has compiled a list of popular study abroad destinations and their healthcare options for international students. Whether you want to make a home in these countries for a year or four, you should know how to prepare yourself well for all that is part of the adventure of studying abroad. The U.K. has universal healthcare for its citizens, permanent residents and temporary residents, which includes international students. The National Health Service (NHS) provides health care services, with affiliated doctors and hospitals spread throughout the U.K. International students who wish to access these services, and aren’t from the EU/EEA or Switzerland, and who plan to stay in the U.K. for less than six months have to pay a surcharge of £150, while students planning to stay longer than 6 months must pay a surcharge of £300 every year. While a little steep, this fee covers a wide range of NHS services, such as access to a general practitioner, emergency treatment, family planning, compulsory psychiatric treatment, and diagnosis and treatment of communicable diseases. However, in some areas of England, NHS insurance may not cover prescriptions for students over the age of 19, studying part-time. Unfortunately, as is the case with most public goods, the NHS is heavily understaffed and underfunded. This means unbelievably long wait times for appointments. According to The Guardian, 4.2 million people were waiting for consultant-led, non-urgent treatment in England in 2018. 3,000 of them had been waiting for more than a year. On the mental health front, patients are sent more than 100km for inpatient care, particularly for eating disorders. There is also a notable lack of specialist mental health nurses and psychiatrists. So, while facilities exist, accessing them in a timely manner is often difficult, making preventative measures nearly non-existent. Another important factor to consider is the possibility of budget cuts in the aftermath of Brexit. Brexit. As May’s Brexit deal has repeatedly failed, and the EU is running out of patience regarding extensions, it is quite likely that EU/EEA students will have to pay the surcharge post Brexit as well. While the latest long-term plan for the NHS demands that collaboration with private practitioners be considerably reduced, with a possible lack of economic support from the EU post Brexit, the opposite may happen. Canada has one of the oldest single-payer universal healthcare systems in the world. Known as Medicare, the system provides almost all essential care, with the glaring exception of dental services and prescription medication. Perhaps that explains why ⅔ of Canadians in 2018 supplement Medicare with private or employer-sponsored insurance. Medicare is delivered to Canadians through each of the thirteen provinces and territories. Unfortunately, for international students, this means that their access to Medicare is dependent on the budget and regulations of the province they intend to study in. As of now, Alberta, British Columbia, Manitoba, Newfoundland and Labrador, Northwest territories and Saskatchewan have provisional healthcare for international students. However, even within these territories and provinces, the duration of the coverage is varying. For example, students in Alberta are eligible only if they plan to study for more than three months, and less than twelve. British Columbia only starts covering its international students three months after their arrival. Quebec doesn’t offer provisional healthcare to international students from most countries. However, due to bilateral agreements with Belgium, Denmark, Finland, France, Greece, Luxembourg, Norway, Portugal and Sweden, students from these countries have access to Medicare in Quebec. Ontario, Prince Edward Island and Yukon don’t offer any provisional services to their international students. In terms of effectiveness, Canada has similar problems to the U.K. when it comes to wait times. A 2018 Lancet review of Medicare particularly highlighted the long waits for non-emergency procedures, such as knee and hip replacements. A report by the Canadian Mental Health Association released in 2018 also brought attention to massively underfunded mental health resources, with 1.6 million Canadians reporting that their mental healthcare needs are unmet. It certainly doesn’t help that Medicare doesn’t cover prescription for chronic physical and mental health problems. As university can be a mentally taxing time for students, the poor infrastructural support in particular for mental health treatments perhaps warrants supplemental coverage from private insurance. As is the case with Canada, essential healthcare in Australia is publicly provided. Also called Medicare, it partially or fully covers dental procedures, doctor appointments, basic screenings and diagnoses, and some chronic disease management. However, 47% of Australians opt to supplement their care with private provisions for quicker access to hospitals, and a greater variety of treatment options, including mental health services. Unlike Canada, international students are categorically not covered under Medicare in Australia. They are, however, expected to have a basic level of healthcare coverage under the Overseas Student Health Cover (OSHC) Act. OSHC requires international students from most countries to purchase health insurance which covers, at a minimum, treatment at a doctor’s office, hospital access, and limited prescription drugs. However, students sponsored by the Department of Foreign Affairs and Trade, or Australian defense are exempt from OSHC, as are Belgian, Swedish and Norwegian students. Those willing and able to pay for greater coverage can do so with one of the companies that provide OSHC coverage. These companies include Australian Health Management, BUPA Australia, Medibank Private, Allianz Global Assistance (subcontracted by Lysaght Peoplecare), and nib OSHC. The minimum price for annual OSHC coverage is AUD438 per person, which is lower than the surchage for students in the U.K., but OSHC does not provide any mental health resources, or access to prescriptions, which the NHS does. That being said, OSHC does have shorter wait times, as it is affiliated with private, instead of public healthcare. However, since the system is similar to privatised health care, international students are in the vulnerable position of ‘getting what they pay for’ in terms of quality and access to services. Access to healthcare in the U.S. is like that cousin who enjoys flashing everyone at a family get together. Nobody wants to acknowledge it, but it is impossible to ignore. The United States spends $10,348 per person on health care, more than any other country in the world. Budget cuts in Medicare, which provides medical access to senior citizens, and Medicaid, which provides access to low income Americans, are constantly in the news. Despite that, public healthcare resources for the majority of Americans is scarce, and non-existent for international students. International students usually have to ensure that their insurance meets requirements set by their school. Most schools either sign up their students for a mandatory group health insurance plan, or offer a health insurance plan with an option to waive. However, schools are now increasingly refusing to sponsor health insurance. Universities that do offer it, and give students the option to waive their insurance, set extremely stringent requirements for the waiver, particularly for international students. As a result, students from abroad, who already pay a significantly higher tuition than domestic students, are expected to pay a premium for school insurance as well. While school insurance plans are generally more expensive than private options, they are more comprehensive, and prevent students from paying extremely high premiums for emergency room care, mental health, reproductive and dental health services. That being said, with the precarious situation of the American government, students planning to attend public universities should be prepared for some changes in healthcare. Some states have restrictive limits when it comes to reproductive rights, which affects access to contraceptive options for Americans and international students alike, so it is important for students to weigh options when it comes to the states they plan to study in. China has public health insurance for urban employed and residential citizens. It covers a wide range of services, including primary, specialist, emergency and mental healthcare, as well as prescription drugs. However, international students do not have access to these services, and need to purchase private health insurance if they plan to stay for longer than six months. For students staying longer than a year, it is mandatory to undergo a medical examination, preferably at a public hospital a month before departure. Some courses offer health insurance for an additional fee, but most students can find private insurance for less than $150 in their home country or once they arrive in China. While there are around 13,000 public hospitals in China, they aren’t well-balanced between rural and urban areas, as most public funding is concentrated in cities. There are also very long wait times at public hospitals, and language is a major barrier everywhere. Private hospitals cost twice as much, but generally have shorter wait times and a bilingual staff. Students planning to study in China would be much better off going to private hospitals, even if the cost is much more. Germany has the oldest public healthcare system in Europe, dating back to the 1880s. Gesetzliche Krankenversicherun (GKV) covers everyone who falls under the fixed income of 50,000 per annum through a statutory health insurance model. The government healthcare scheme covers primary care with registered doctors, hospital care, basic dental treatments and mental healthcare, as well as some prescription drugs and checkups for chronic diseases. Most residents and citizens in Germany combine their coverage with private insurance to be able to consult private doctors and have greater access to specialised care. It is mandatory for international students to have health coverage, but their insurance is heavily subsidized, as universities and GKV planners tie up with various insurance agencies. Students below the age of 30 only have to pay €80 for each month they are in Germany, while students over the age of 30 have to pay double the price, at €160 per month. While the GKV scheme is quite comprehensive for basic needs, those who require specialised long term care should consider supplementing their coverage with private insurance. France provides universal health coverage to its citizens and residents. Like Germany, healthcare is funded by statutory health insurance. However, unlike Germany, healthcare in France covers hospital care in public and private institutions, along with a range of diagnostic services, dental services, specialist consultation and care, prescription drugs, as well as partially covering long-term hospital and mental health care. International students under the age of 28, who are enrolled in a program longer than four months and are not from EU/EEA or Switzerland are eligible for French health insurance, with an annual payment of €217.Those with a government sponsored scholarship do not need to pay the surcharge. 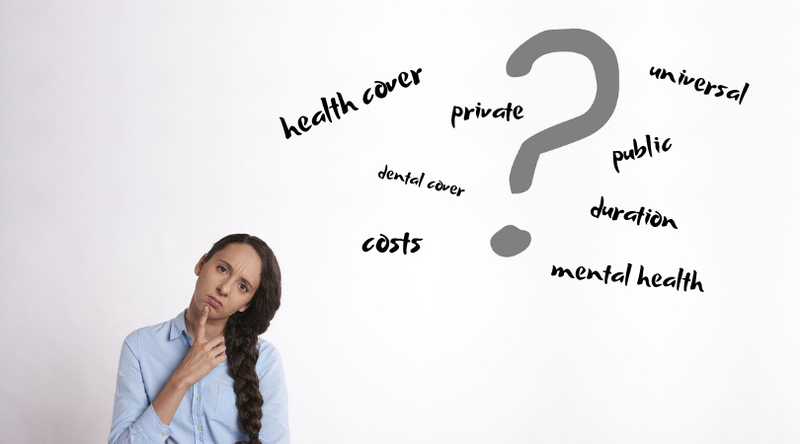 Students with long-term physical and mental health problems should consider supplementing the government health insurance with some form of private coverage as well. While the coverage options for international students in these countries are varied, one thing in common across all of them is the lack of emphasis placed on mental health. This is particularly worrying as mental illness accounts for 23% of disease burden worldwide, and is even more prevalent in college students worldwide Conversations around healthcare need to be restructured to holistically consider mental health and wellness, as it is not simply a fringe issue.